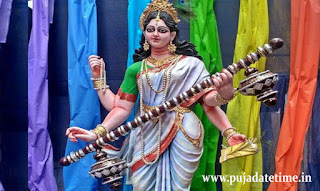 About Saraswati Puja: Vasant Panchami, also spelled Basant Panchami, is a Hindu spring festival. It is observed on the fifth day of the Indian traditional calendar month of Magha, which typically falls in the Gregorian months of January or February. The Goddess Saraswati is the Goddess of knowledge and learning. Saraswati Puja Mantras are uttered while performing the puja. 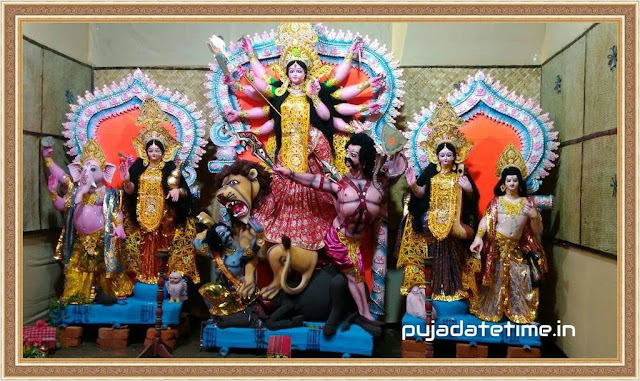 Following are the Saraswati Puja Mantras for performing puja and 'pushpanjali'.